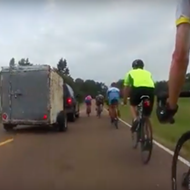 Members of the Heights neighborhood are looking to redesign National Street, the two-mile road that runs through the neighborhood north of Summer. National Street connects to the Wolf River Greenway to the north and the Hampline to the south. However, members of the community feel the street’s current design is not accommodating to the majority of users. To address this, the plan is to create the Heights Line, a multi-use promenade, greenspace, and trail in the middle of the National Street. 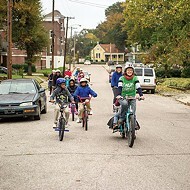 The goal is to make the street to safer, more attractive, and more functional. As a part of the community’s ongoing efforts to gather feedback and suggestions for the street’s future, a walking tour of National Street is planned for Saturday, September, 8th from 2-4 p.m.
Beginning at the Heights Line Design Studio at 751 National Street, the tour will highlight locations along the street that would be impacted by the Heights Line. Participants will have the chance to offer feedback on the proposed designs and generate their own ideas. 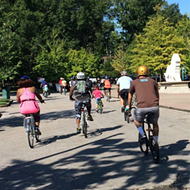 Following the walking tour, there will be a group bike ride down the proposed Heights Line on Sunday, September 9th from 2-4 p.m. Riders will assess the bike-ability of the Heights Line route, and also have a chance to give feedback. There’s also a survey on the proposed design available online. The Heights Line project proposes a revamp of the street, making it more accessible to pedestrians, cyclists, transit riders, and motorists. 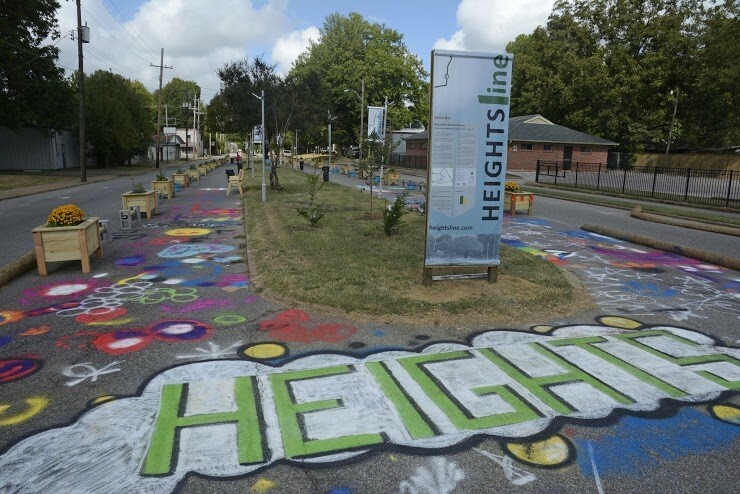 Another goal of the redesign is to make the street safer by reducing the width of automobile lanes, encouraging slower speeds.The Heights Line will demonstrate that art, fun, and practicality can co-exist on National Street, according to the Heights Line website. Last year from October to November, temporary enhancements were installed along the street to demonstrate the vision for a “people-focused” street. The four-lane street was narrowed into two lanes, and the median was widened. 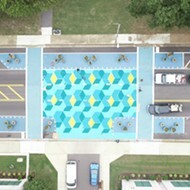 Planters and benches were then set up in the two center lanes. The temporary installments were a sampling of what the community proposes for the entire street. The feedback period is slated to continue through the fall before any permanent changes are made to National Street.